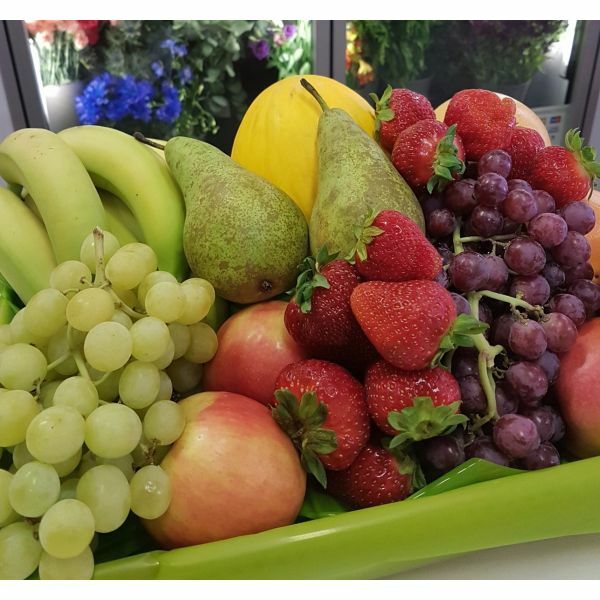 Our fresh fruit hamper includes the very best seasonal produce available at the time of your order. The selection is displayed ina beautifully giftwrapped hamper carton and wrapped over with decorative cellophane. Photo shown represents an example of the Deluxe Size. Individual fruits may vary due to seaosnal availability. Photo for illustration purposes only.